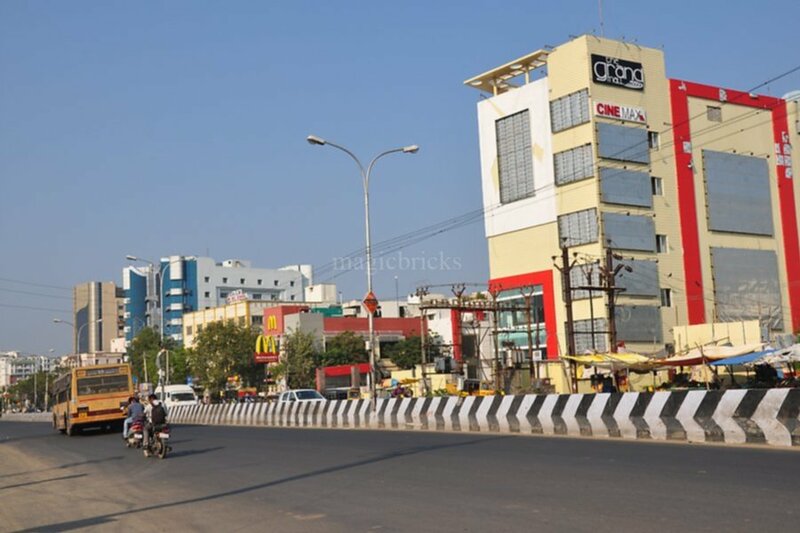 Vadapani Forum Vijaya Mall Palazzo Cinemas belonging to SPI Cinemas has opened to public on 30th Nov 2015. You can book the tickets in usual SPICinemas site. 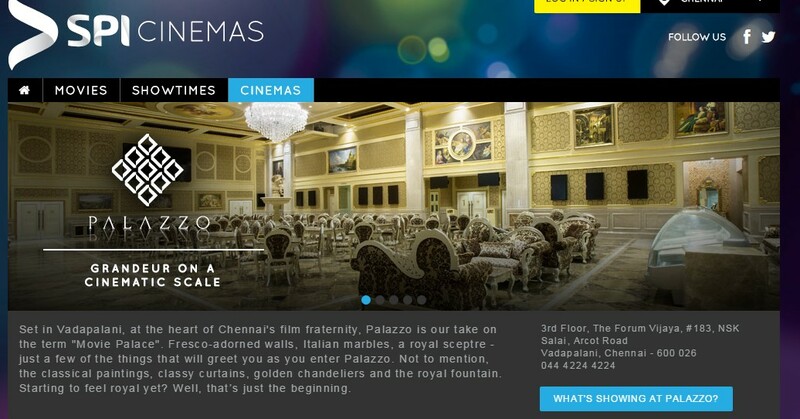 Set in Vadapalani, at the heart of Chennai’s film fraternity, Palazzo is our take on the term “Movie Palace”. Fresco-adorned walls, Italian marbles, a royal sceptre – just a few of the things that will greet you as you enter Palazzo. Not to mention, the classical paintings, classy curtains, golden chandeliers and the royal fountain. Starting to feel royal yet? Well, that’s just the beginning. Palazzo has 9 state-of-the-art screens, with a total of 3,010 seats. Florentine decor and grand lighting completes the setting. A perfect balance of elements from a time literally set in stone, brings SPI Cinemas’ latest experience to life with a gaming zone and a spa. This opulent experience comes with 9 state of the art screens, equipped with 4k digital projectors and 3d technology. The 4 way surround speakers, combined with the Dolby Atmos surround sound is guaranteed to deliver a spectacular cinematic experience. Booking ID: WNBAML3 @ THE GOOD DINOSAUR (U) @ 10-Dec @ 04:35 PM @ Screen-4, Palazzo, 3rd Floor, The Forum Vijaya, #183, Nsk Salai, Arcot Road, Vadapalani @ ELITE @ G11, G12 @ @ Food: @ Rs. 305.00 @ Please show this SMS to enter. Thank you. 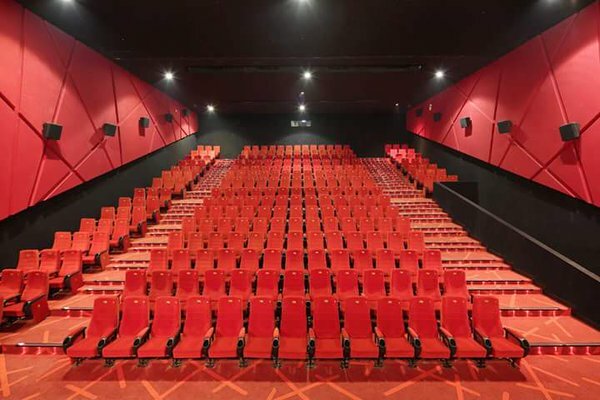 Luxe has been taken over by Jazz Cinemas from SPI Cinemas. The ticket booking for your favourite screens at Phoenix market City is not available in the regular site ! 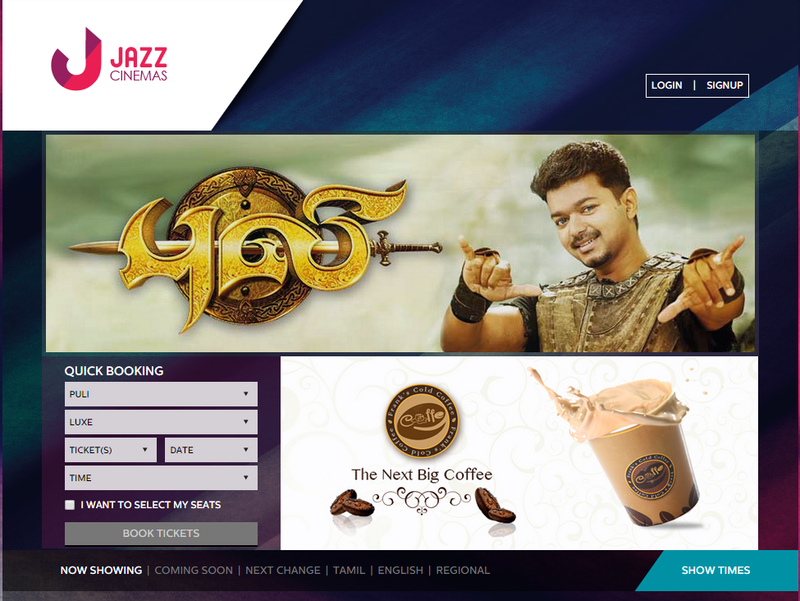 If you need to get tickets for the movies inlcuding the recent Vijay starrer Puli, log on to the Jazz Cinemas site and book it. 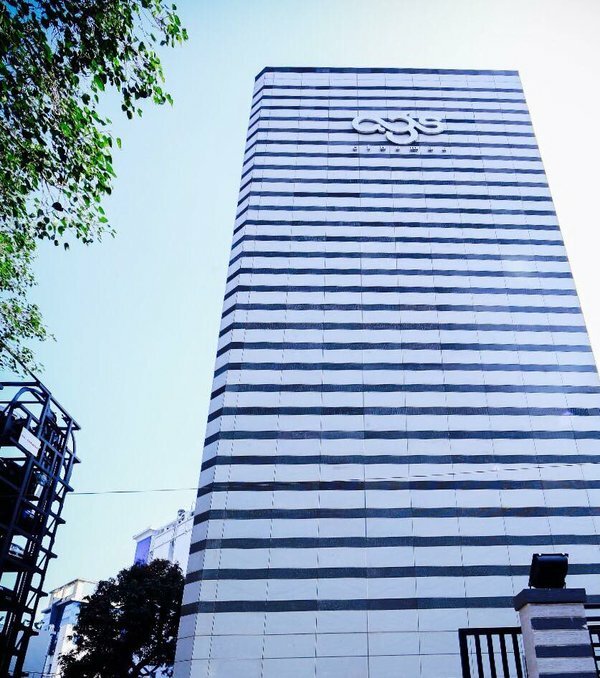 With the change in management it is said that the IMAX 3D and the Palazzo in Forum vijaya mall inlcuding IMAX will be open soon.